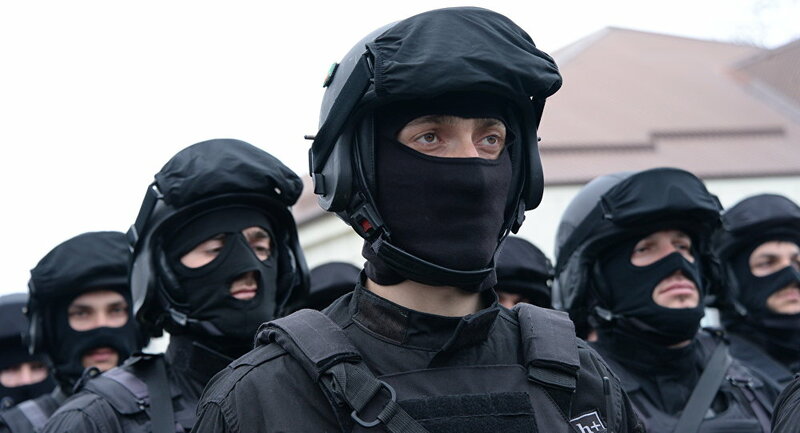 Russian President Vladimir Putin said that it is necessary for the Russian Federal National Guard Troops (Rosgvardiya) to work to outpace terrorists and extremists, uncover their plans, block their contacts with foreign groups. MOSCOW (Sputnik) — Russian President Vladimir Putin said Monday the Russian Federal National Guard Troops (Rosgvardiya) should work to uncover plans of terrorists and extremists, prevent their contacts with foreign groups and react to any attempts to destabilize public order in the country. "It is necessary to not only consolidate the success achieved in that direction, but also to move forward, to work to outpace terrorists and extremists, uncover their plans, block their contacts with foreign groups," Putin said. He added that Rosgvardiya should professionally react to attempts to destabilize public order in the country under any pretext.